I didn’t even put it together that it was yours. 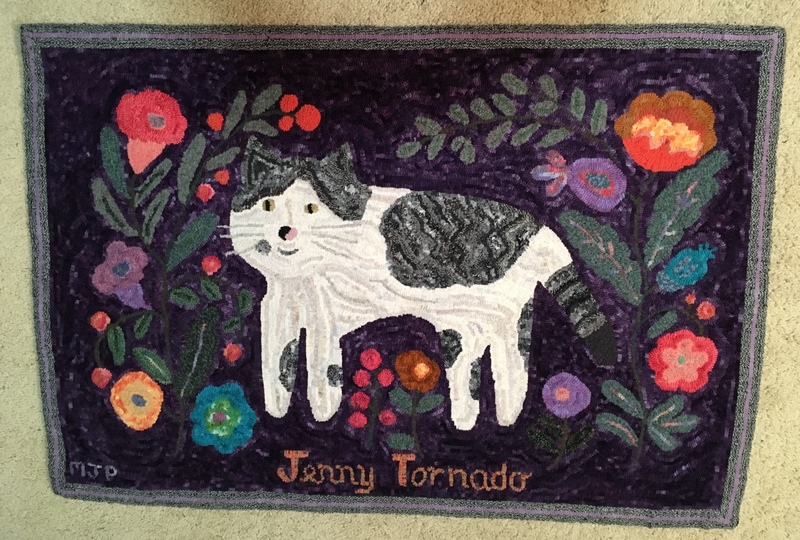 That Jenny Tornado rug was one of my absolute favorites! Thanks, Stephanie! 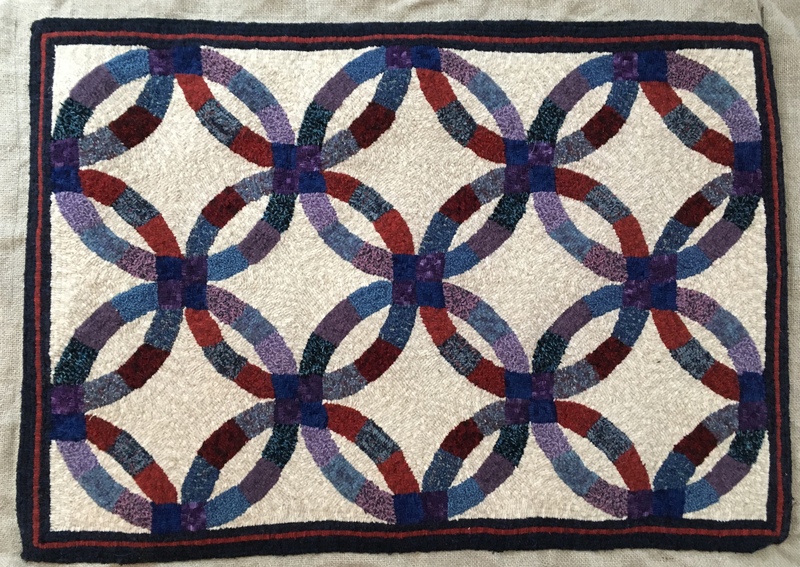 My wordpress software was having hiccups today, left out the first photo, and I had another sentence about this Jenny rug of mine, saying I adapted it from the “Posey Cat” pattern by Patsy Becker. Somehow I must not have “saved” after writing that, and felt bad that got left out! Mary Jane your description of being snowed in makes me remember how much I loved those days but I’m adjusting well to warm sunny winter holidays! The newlyweds are very lucky to receive such a beautiful gift. Thanks, Kathy… and seeing as it is only Nov. 20, I am thinking we may have a long winter! Enjoy the sunshine! Mary Jane it is so good to see you post. 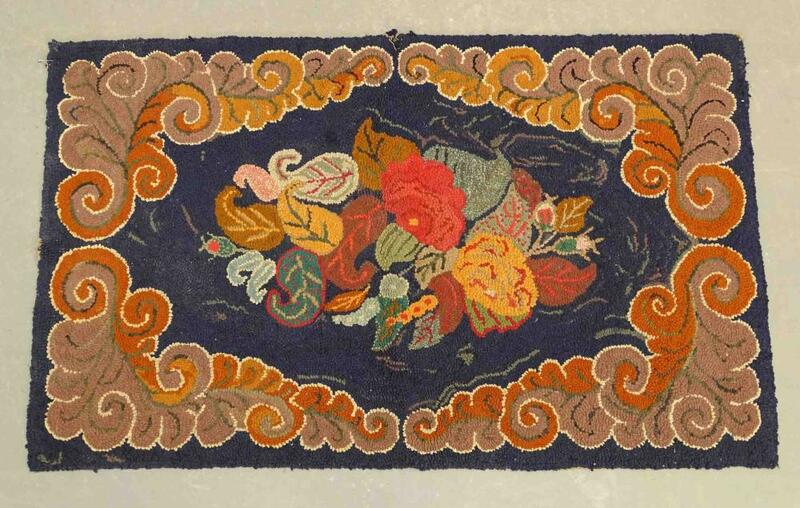 I love cat rugs, my very first rug was of my cats. 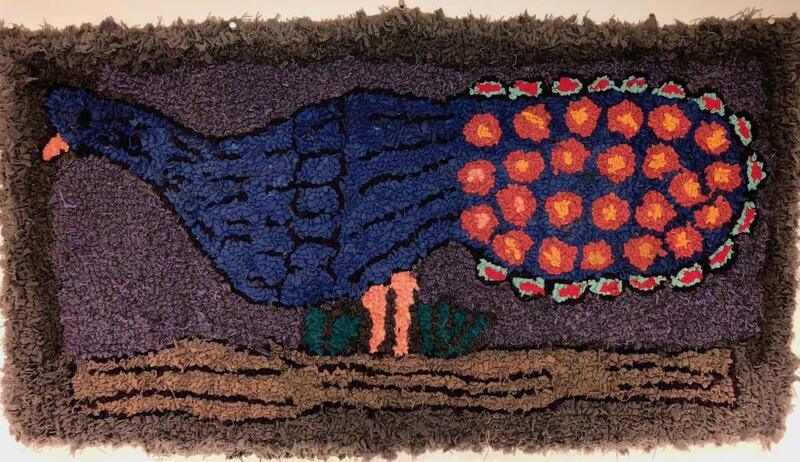 However, I am totally taken with your wedding ring rug. What ever you used for the background mimics quilting really well. Happy Thanksgiving to all. Mary Jane, hope you and yours had a nice Thanksgiving. Since it was just ‘us,’ my husband made his spectacular Bobby Flay meatloaf, full of sweet peppers and summer squash. It was a quiet, cozy day and we know how lucky we are. (among other things we didn’t have to make a big turkey) I loved your post. 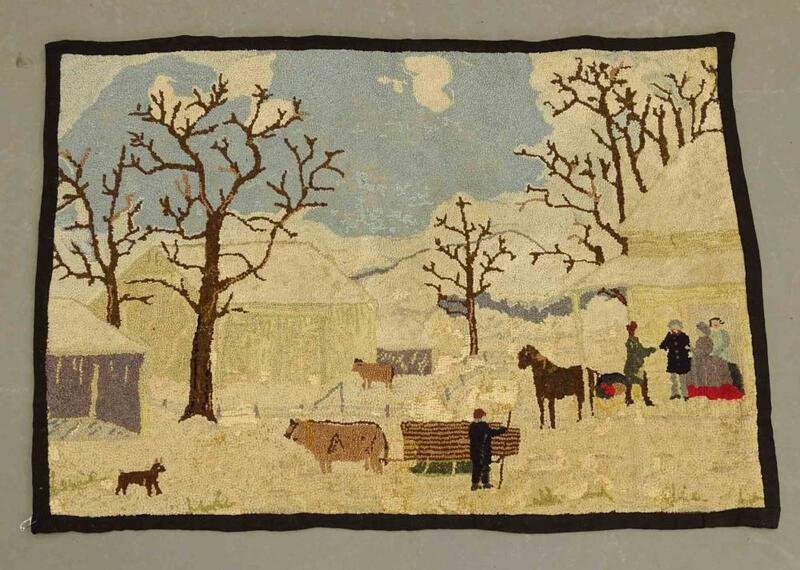 I look forward to seeing what comes up at auction and the ridiculous prices they bring and love your ‘Jenny rug’ It looks like it could be an antique. And you know how I love geometrics! You really have been hooking up a storm! oh your wedding ring rug came out wonderful! your niece will love it. 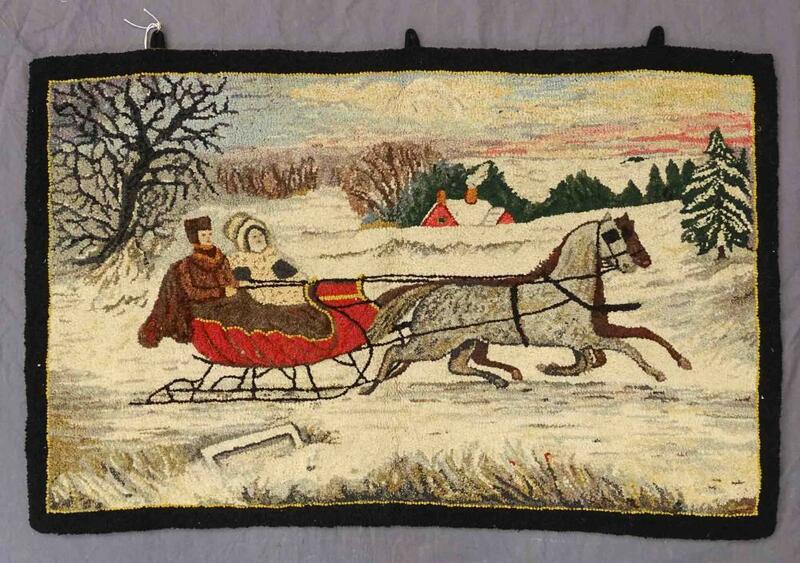 I would spent 100 on that Currier and Ives rug so much work. hope your thanksgiving was a great one.